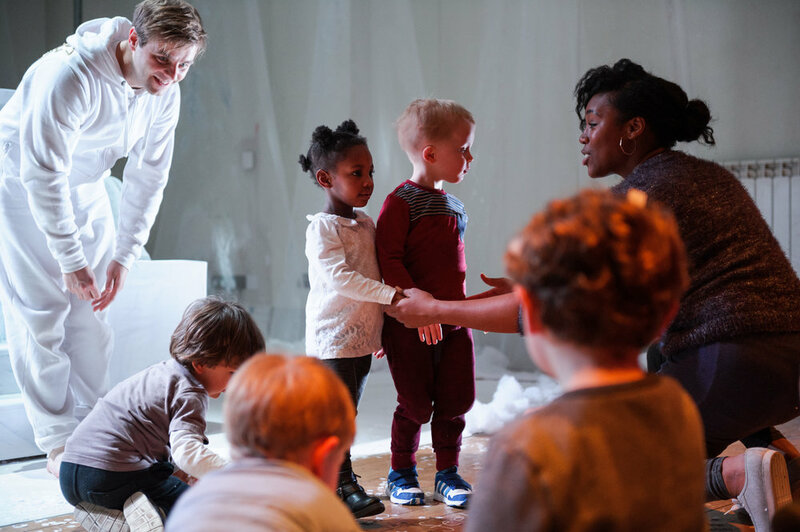 Ad Infinitum have collaborated with Battersea Arts Centre, Amy Pitt, Ted Barnes and Amy Pennington, as part of an adventure called Town Hall Cherubs for children and their grown ups! An immersive journey for young audiences with a Christmas twist. Help the cherub find his way home and discover what makes this old town hall so magical in a tender journey with surprises along the way. "Many thanks to the children in Bees Knee’s who came up with Sarah the Dragon’s name and ‘animal’, and to Sarah Golding, Sophie Bradey and the BAC team for all their help and support!" A Battersea Arts Centre Production with creative contributions from commissioned company Theatre Ad Infinitum and artists Amy Pennington, Amy Pitt and Ted Barnes. Ad Infinitum has been presenting work and collaborating with BAC since 2012. In March 2013 their production Ballad of the Burning Star ran for three weeks, won an Off West End Award and went on to tour the UK through BAC’s Collaborative Touring Network. In 2014 the company directed the BAC Homegrown Company in a devised show called Director’s Cut. Town Hall Cherubs represents a new venture with BAC into work for young children, and Ad Infinitum’s first attempt at making theatre for this age group.